Just a quick Guitar Wolf thang, in case you should have forgotten, that they RULE. Love it! Great choice of angle, very well done! Hey thanks a lot! I was drawing this really quick and sketchy in pencil first and was surprised that it worked out perspective wise. So I went and inked it. 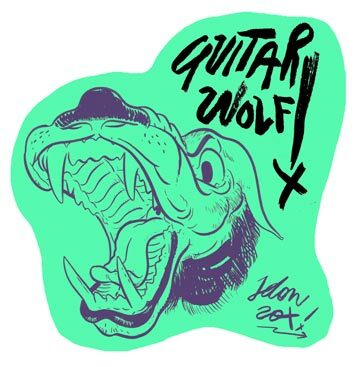 You are currently reading GUITAR WOLF shorty at IDON MINE.